Here are the main tools I have developed. 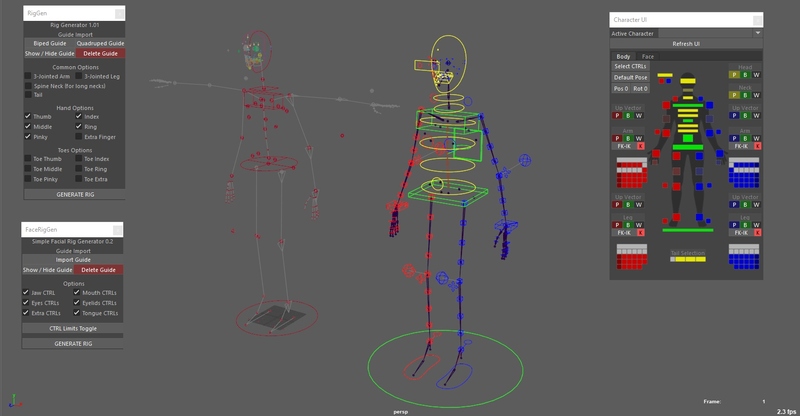 RigGen is a guide-based rigging tool, supporting bipeds and quadrupeds. It comes with a simple GUI for selecting controls and switching seamlessly IF to FK. It includes an optional facial rig that is joint-based but can be easily used with corrective blendshapes. RigGen was used in a feature film and several commercials, rigging a troll, a gorilla, rabbit’s faces, and even a talking potato. 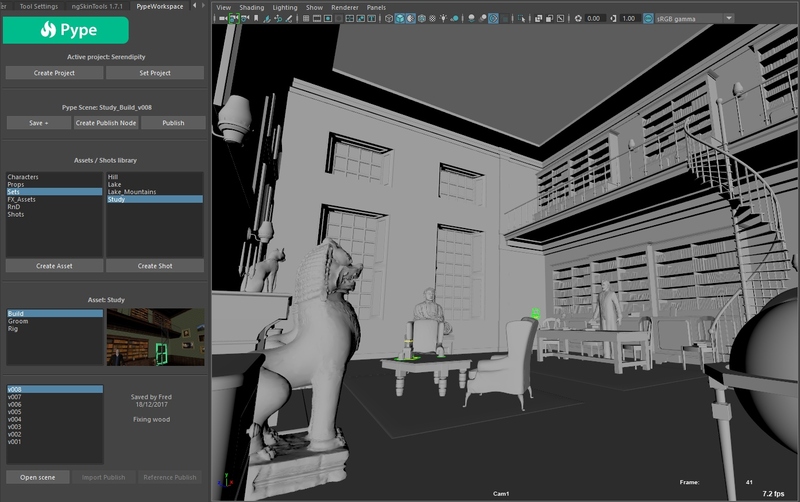 Pype is a Python asset management tool built around Maya/Nuke, with basic folders creation for other software. It was built for a small crew studio and streamlines the workflow while allowing flexibility. In 3D files are separated by Assets or Shots. Assets have different types (characters, props, sets, FX, RnD) and different pipeline steps (Build, Groom, Rig). Shots have 3D steps (Layout, Animation, FX, Lighting) and a comp step (Comp). Each step is published and can be imported or referenced in the next step. Files and publishes are versioned and each version can have an artist comment. Extra tools exist to export assets to the right folders for other softwares, as well as generate turntables, check if the latest version of each asset in a scene is the latest one and update if necessary, etc. Shots have their own database with each shot duration preroll need, and handles settings that can be triggered and adjusted if needed. The local database is connected to a website with upload of assets and shot statuses, as well as stills and MP4s for review.